If you haven’t already signed up for Outlook.com Premium then you’re out of luck. This is because Microsoft is killing the premium version of Outlook.com, and transferring most of its features to Office 365 instead. Existing subscribers are fine for now, but new subscribers are not welcome. Microsoft began trialling Outlook.com Premium in February 2016, launching the beta in April 2016. In October 2016, it went live in public preview, and in February 2017 Outlook.com Premium became available to everyone Outlook Premium Is Now Available to Everyone Outlook Premium Is Now Available to Everyone Microsoft has launched Outlook Premium out of beta. This means anyone can now sign up to use the premium version of Microsoft's email service... for a price. Read More . And now it’s becoming unavailable to anyone but existing subscribers. As its name suggests, Outlook.com Premium is/was a premium version of Outlook.com. For $50/year, Outlook.com Premium subscribers would get an ad-free inbox, advanced sharing options, tougher security measures, increased support, and custom domains. It was a good option for email junkies. The good news is most Outlook.com Premium features are being added to Office 365. This includes the “ad-free inbox, enhanced protection against malware and phishing, larger mailbox sizes, and premium customer support.” The bad news is Microsoft is killing Outlook.com Premium as a result. It remains to be seen how long Microsoft will let existing subscribers renew their subscriptions. In another support document Microsoft states that it’s “working on a solution that will enable you to transfer your domain to other providers,” which strongly suggests it’s seeking a permanent way out. It’s rare for Microsoft to cull a service after such a short space of time. Which suggests that the numbers didn’t add up. Therefore it makes more sense to roll these premium features into Office 365 An Introduction to Office 365: Should You Buy Into the New Office Business Model? An Introduction to Office 365: Should You Buy Into the New Office Business Model? Office 365 is a subscription based package that offers access to the latest desktop Office suite, Office Online, cloud storage, and premium mobile apps. Does Office 365 provide enough value to be worth the money? Read More to make that a more attractive proposition. And at $70/year it is pretty good value for money. Do you currently have an Outlook.com Premium subscription? How do you feel about most of its features being transferred to Office 365? Are you likely to keep your Outlook.com Premium subscription? Or switch to Office 365? Please let us know in the comments below! Explore more about: Microsoft, Microsoft Office 365, Microsoft Outlook. A company like Microsoft, offering "tougher security measures" as an optional paid service for email, is part of the problem rather than the solution in the fight against phishing, malware, and ransomware. It seems to me Microsoft never really wanted to sell outlook.com premium. I had tried for at least 6 months to pay for it without luck. The Outlook part of Microsoft Office, which must be installed as part of Office 365, sits unused on 2 of my computers. Because the one computer already had Outlook set up from my Office 2013 installation, the Outlook 365 install took over receiving mail for my one email address. Outlook has always been a clunky program and finally I realized outlook.com was a faster and more functional way to get email. 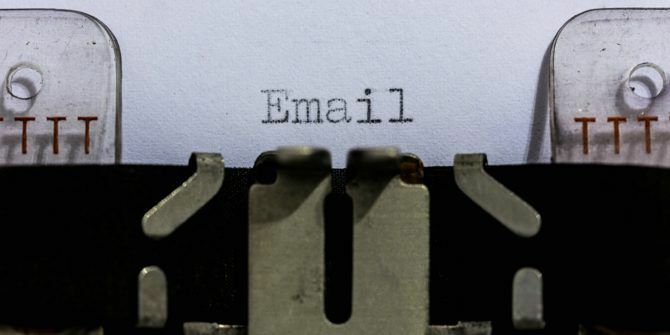 If for no other reason than the sweep function, it made email less of a burden. My outlook 365 takes forever to open and I just don't have the time for that. It makes pst files, which are understandable even if primitive. But with the help of Comcast tech support setting it up one time, it also creates ost files, theoretically impossible when all the mail is downloaded to my hard drive. As outlook 365 took longer and longer to open, I started using it less and less. The new Microsoft support was at first a pleasant surprise. But when the tech I asked to help with outlook started to uninstall the entire Office 365, I had to grab control of the computer back in the nick of time. Microsoft attempts at support started out with promise but gave quickly become little more than untrained workers taking out their frustration by being very rude. The latest is email support which gives an acknowledgment of a question but never any answers. This is quickly followed up with an email complaining that they received no reply from me and are closing the case. I started to get frustrated at this until realizing nothing at Microsoft ever made any sense these past 20 years. It's a totally self help situation because that's the way it's always been done. Back to outlook.com premium which was a necessary purchase as Microsoft made the ads on the right cover so much of any email as to be impossible to read. If this is the game they want to play, then the decrease in email being sent will continue and texts will rule the day. Windows 10 includes Mail, Calendar and People apps and together they basically form the UWP version of Outlook. Their account support is much, much better and they support stuff like Google contact and calendar synchronization directly. They are also very, very fast and beat the Outlook.com website UI.